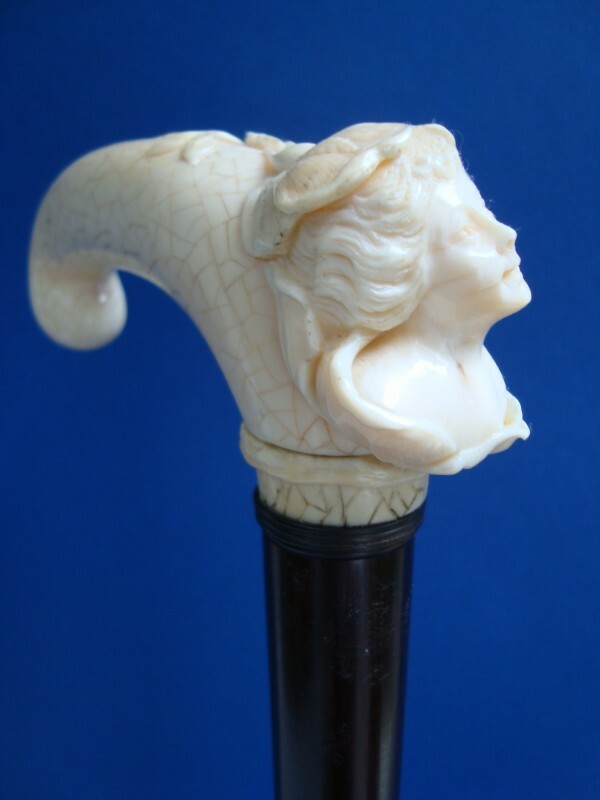 Walking cane carved with an ivory girl`s bust sourrounded by petals, 2.H.19th century. 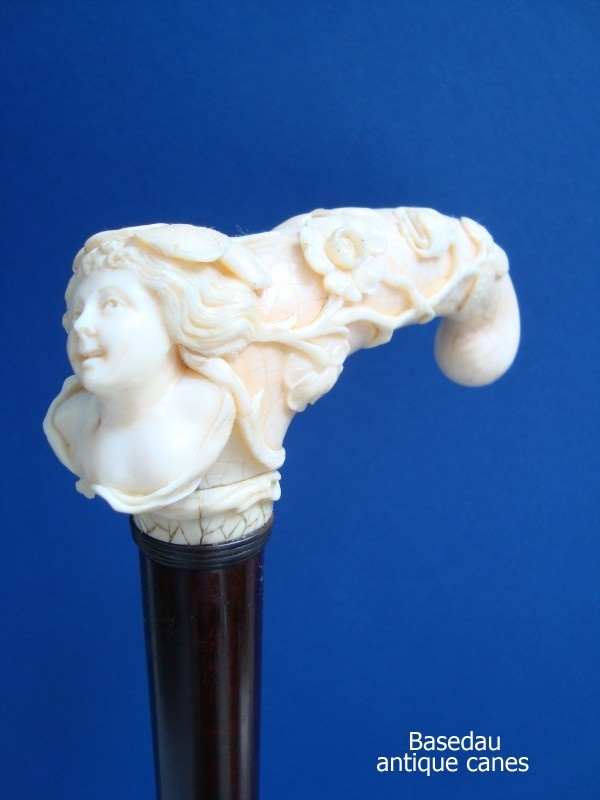 Walking cane with a large, curved ivory handle 2.H.19th century.The thumb-side handle ending is carved with a girl`s bust surrounded from petals, the front of the handle with a flowering branch. 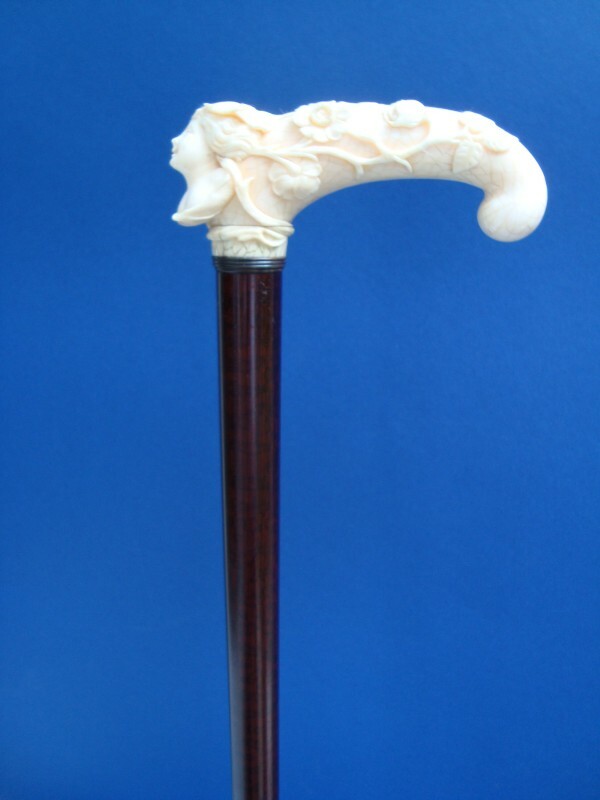 The handle is fitted to a narrow brass ring and a snakewood shaft. 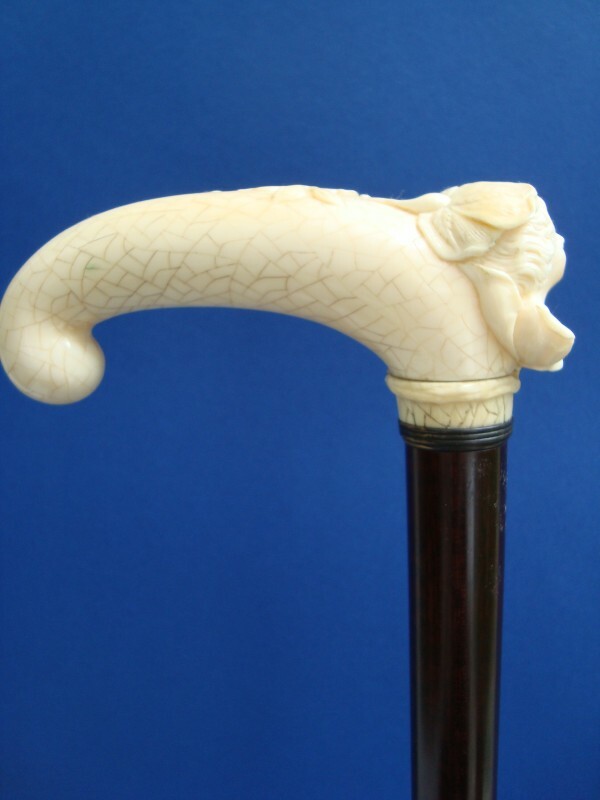 Measures of the handle: H. 12 cm, 4,7", B 5 cm, 1,9", overall length 90 cm, 35,5 "..